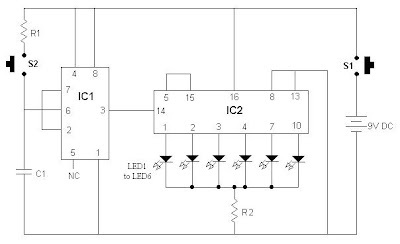 It is good idea to put this circuit in a box and mark/write each LED with number 1 to 6. Now, when switch S1 is pushed momentarily, any one of the 6 LEDs will glow. The Number marked for glowing LED becomes dice's output. Every time S1 is released, new LED will glow randomly. 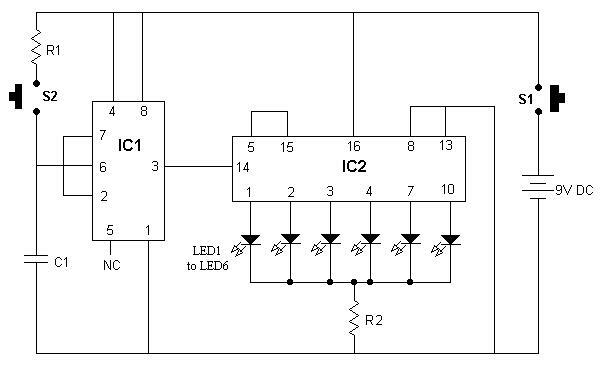 Chances for each LED to glow is 16.66%.